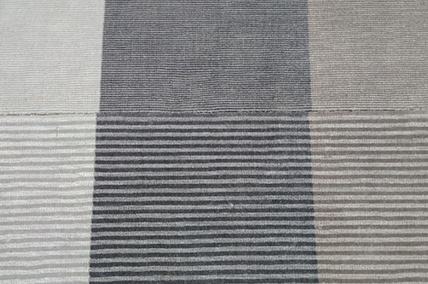 We have in-house production of traditional Mag Felt, Mash up Carpets all handwoven and are made of 100% merino wool in various thicknesses and construction which is a very durable, sturdy material and the yarn material is not even available to most carpet manufacturer. Ask for Product Codes, 3619, 3696, 3774, 3762, 3186. 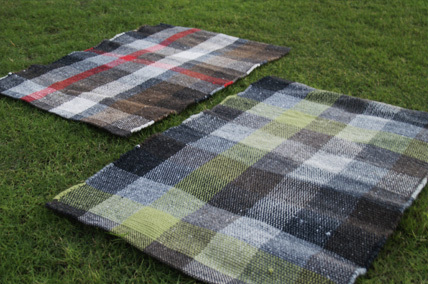 The second segment of products includes luxurious wool & viscose blended yarn. 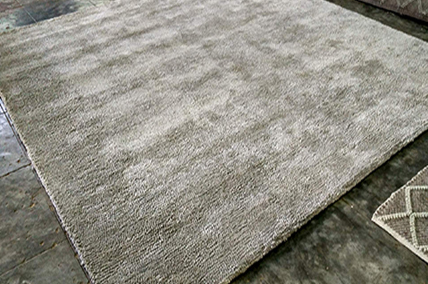 Whilst it has the usual unsurpassed NZ wool quality, designed with meticulously added viscose fiber that provides awesome sheen and color variations as per the light arrangements of your interiors. To explore these, ask for product codes, 3009, 3140, 3607, 3106, 3890. 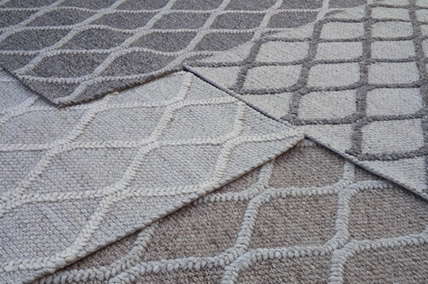 The Lofty textures are available under the code, 8108 in the name Tuscany, this range is all about hand tufted carpets and made of wool & viscose blended yarn. 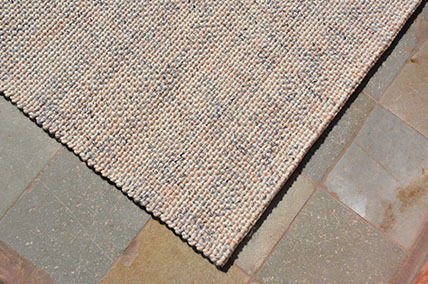 Broadloom, 4127 are yet another handwoven range of wall to wall carpets that are available in a width of upto 5 meters. 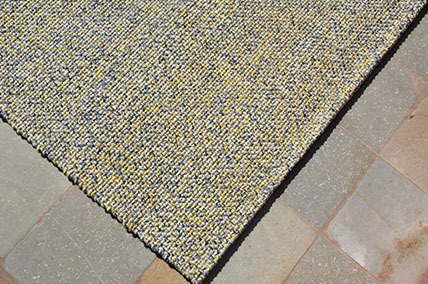 Broadloom Carpets are one of our immensely popular and successful ranges internationally. 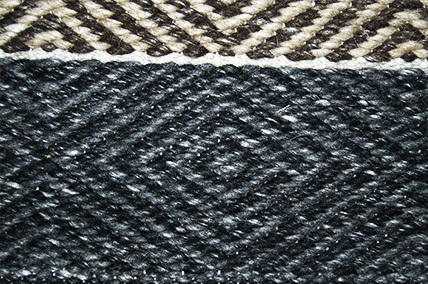 You need to be very careful with this product as more than 98% of the broadloom market share is all about machine-made carpets made overseas, so the consumer is unforgiving to even 'natural flaws' associated with handwoven product. 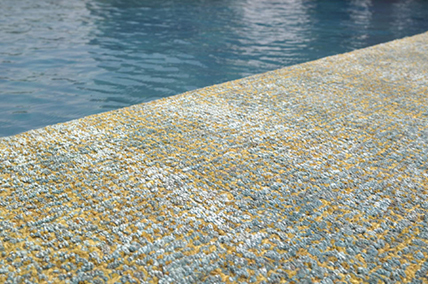 This category has limited but very dedicated consumers as they represent the niche segments of nature lovers who value organic interiors and understand that it is not possible to obtain these exquisite textures on machine-made product. Machines came as blessing to man-kind but took away the exclusivity from the manufacturing industry. Products became redundant and led to loss of creativity and sometimes also induced boredom. 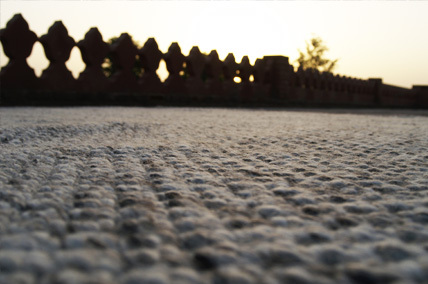 Bikaner Handloom Carpets preserve the exclusivity and aesthetics in each carpet we manufacture. 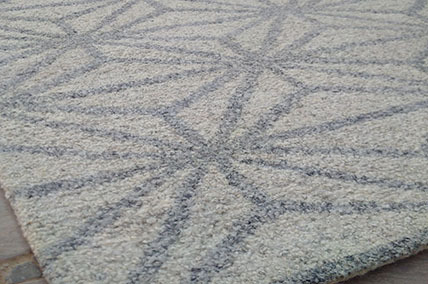 We are purely into the work of arts, each carpet under our label is a piece of art and is created with precision. 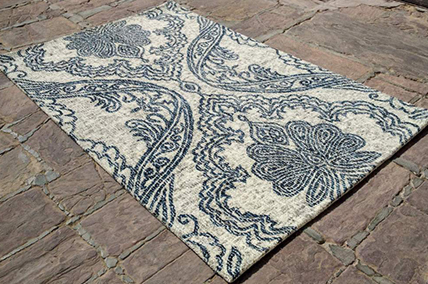 The process of carpet making is traditional and includes the expertise of weavers, artisans and thereby the quality checks @ Bikaner Handloom Carpets warehouse. 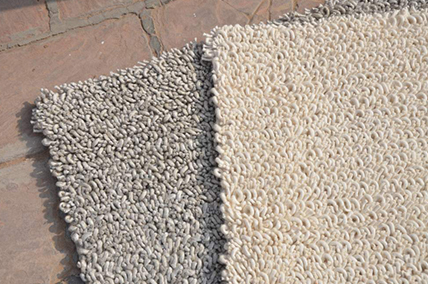 Sheep rearing is done in abundance since we are situated strategically in the city of Bikaner which is also the home for Asia’a biggest wool industry. 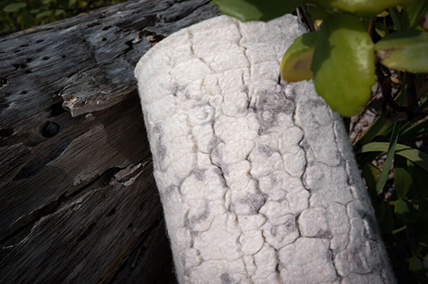 Wool once procured is carefully sorted and cleaned to remove the redundant particles like dust. 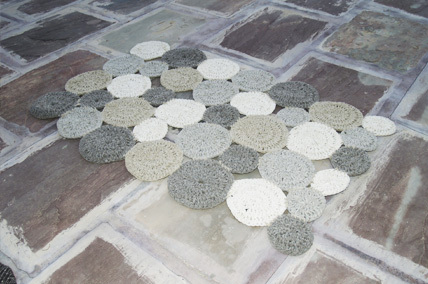 The removal process involves washing & drying of wool under the sun and this takes approximately two-three days. 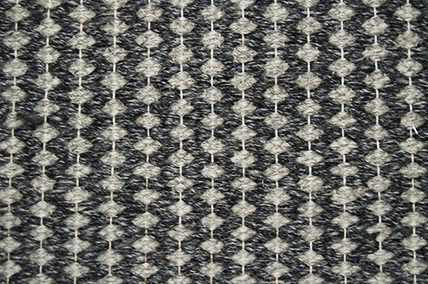 Blending is done to combine different wools together and to ascertain the ratio of different origins and materials. 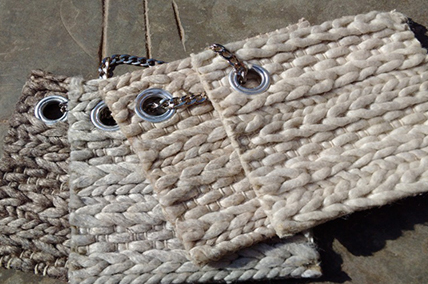 Handspun process involves ‘Charkha’, also known as spinning wheel for wool spun. 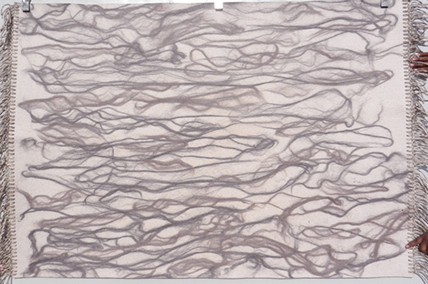 The process is generally considered critical as it leads to ascertaining the thickness of yarn. 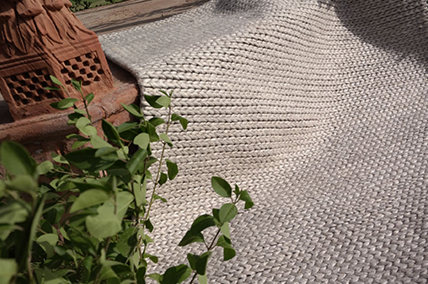 The traditional methods of dying included pot dying and vegetable dying but @ Bikaner Handloom Carpets we transitioned to machine dying quickly as these were believed to be slow and ineffective. Our designers’ layout the custom-made designs and the soft files are shared with the weavers. A designated map reader or a second weaver is often required to bring alive those designs on carpets as they send it to the looming stage. As previously said, we are working on an art form. 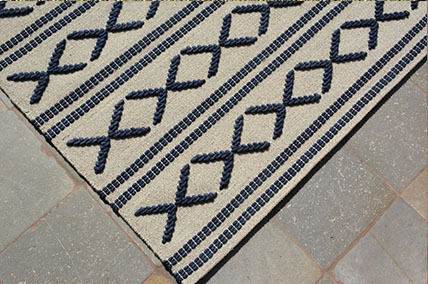 Carpet weaving @ Bikaner Handloom Carpets is no less than an art. 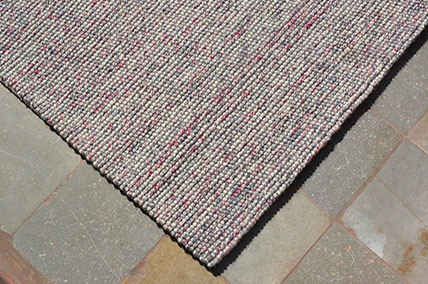 The knotted trimmed carpet reaches for a fresh wash & treatments if required. 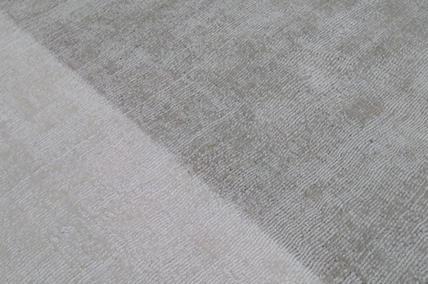 Drying a carpet takes around 2-3 days inthe scorching sunlight typical of this region, lending distinctive sheen and luster to the surface of the carpet. This is the penultimate stage of carpet completion and it includes, re-trimming and stretching. 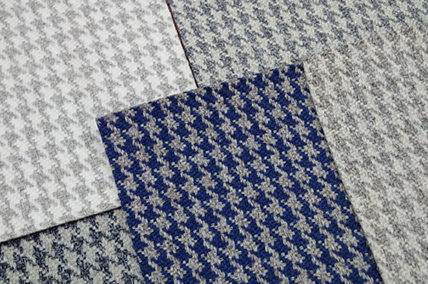 The experts check the finishing of tufts or weaves, color coordination, design approvals etc and stretching is done to level the woven fabric. 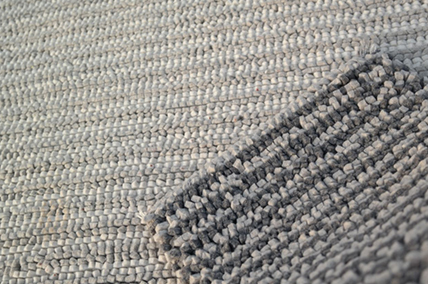 The ready carpets are then sent to the Quality Check team for approvals on fabric, weave, color, design and customized labelling. 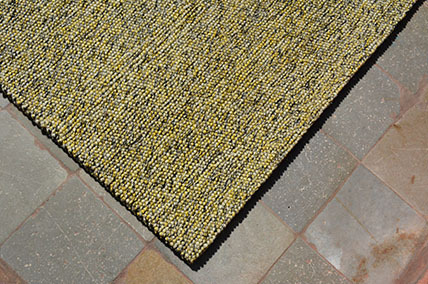 Once approved, the carpets are rolled/wrapped and sealed at each end. The material used for packaging includes – polythene & cloth. Check out our cool interactive pricing tables - because more knowledge equals more power. 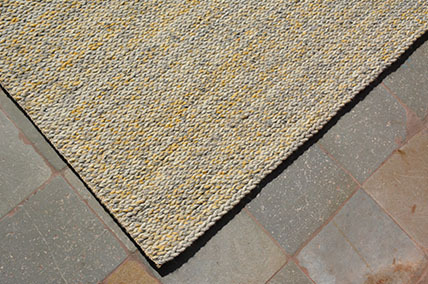 This yarn is made in Yellow/ White & White; counts ranging from 2 to 7 NM, scoured yarn is delivered in hank form & un-soured yarn is delivered in hank/cone form. 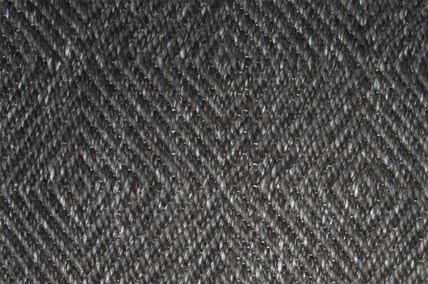 This Yarn is specifically used for machine made carpets. 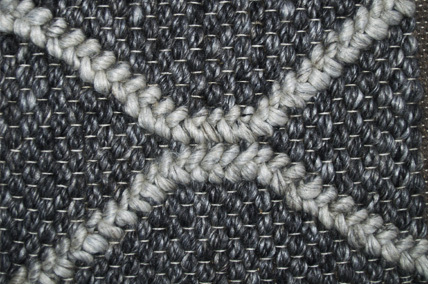 Hard Twist yarn is produced in single or multi fold construction; count 2 to 6 NM, hank or fiber dyed to customers specific shades. 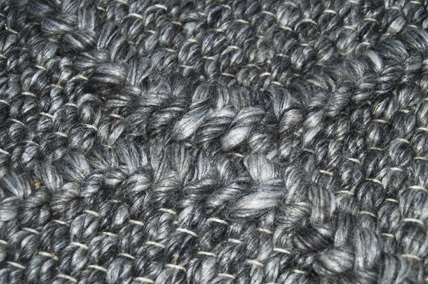 This yarn is generally used for hand made carpets. 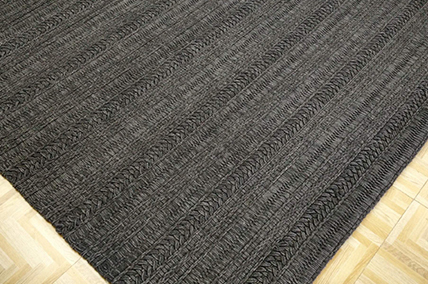 This yarn is produced for high quality hand made carpets, Counts 2 to 7 NM, yarns are produced in single, two and multiple plies. Yarns are delivered in hank or cone forms. 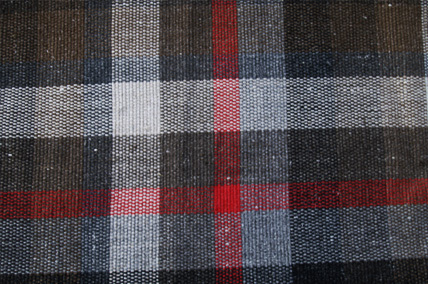 We can also produce yarn with 100% British wool or as per the specification. 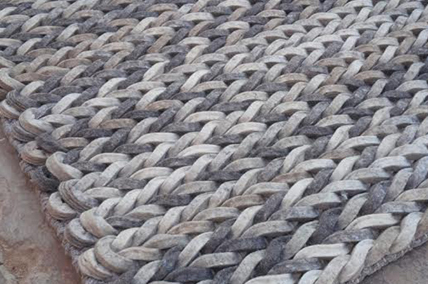 This yarn made through hand spinning process, it is 100% Eco-friendly. 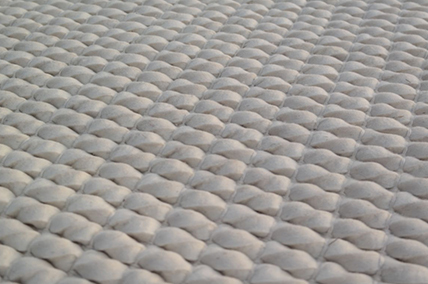 This can be made in normal and hard twists, spinning & counts are never even, this gives different textures to the carpets. This yarn is usual supplied un-scoured in hank forms. 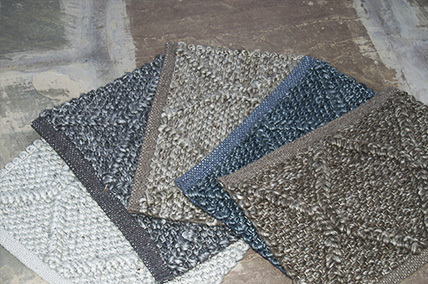 Shaggy yarns of 0s, 00s, and 000s felted yarn-used especially for SHAGGY carpets. We can supply yarn duly dyed as per customer specification. 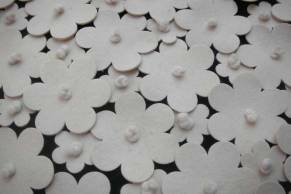 we are specialized in NATURE DYEING(Herbs, Flower Pellet and Vegetable are used as dye stuffs).We are also dyeing in synthetic using nontoxic dyestuffs. We have dyeing facility for 30, 60, 120, 240,& 500 kilos. 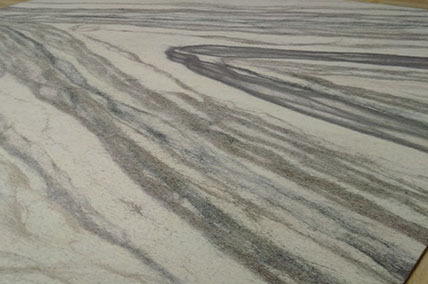 We also have fiber dyeing facility. We are one of the brand partners of internationally recognized WOOLMARK as a result of our strict supervision over quality. Ours is also an ISO 9001-2000 certified company. 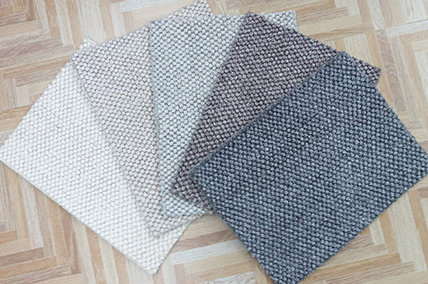 Considering our infrastructure and experience in the field of wool & yarn we can offer best quality of carpet woolen yarn suitable for making carpets. 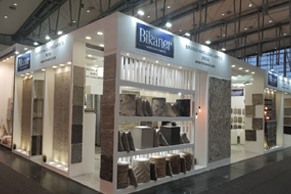 Kindly let us know your valued interest in our products, if desired so, we can send our samples or can develop samples of your specifications & choice,free of cost for you. 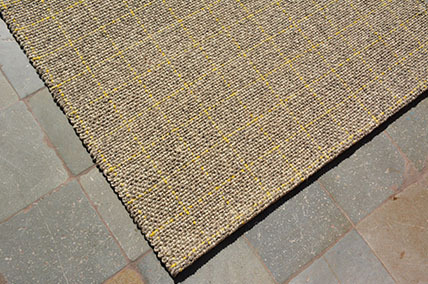 Bikaner Handloom Carpets is essentially the premium brand vertical of M.M.Wool group. 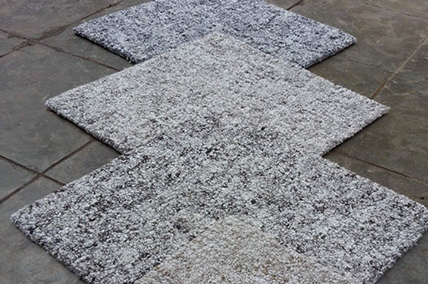 We are the responsible international vertical, manufacturer and supplier of aesthetically supreme, culturally rich and the most comfortable handmade rugs and broadloom nicely chosen and handpicked for international markets. 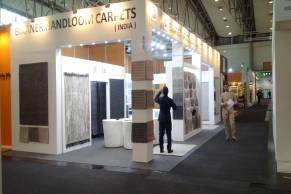 Our division caters to the overseas markets for the product range that includes Handwoven, Handloom, Hand-tufted rugs and broadloom, Shaggies and Flat Weave category. 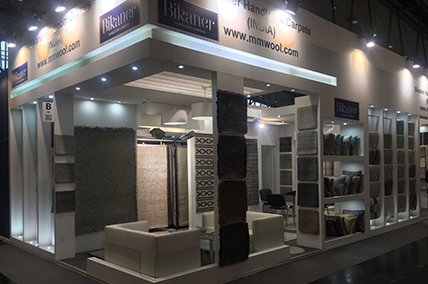 MukundLalMotilalis the pioneer group that introduced premium quality hand tufted and hand woven carpets in the industry. 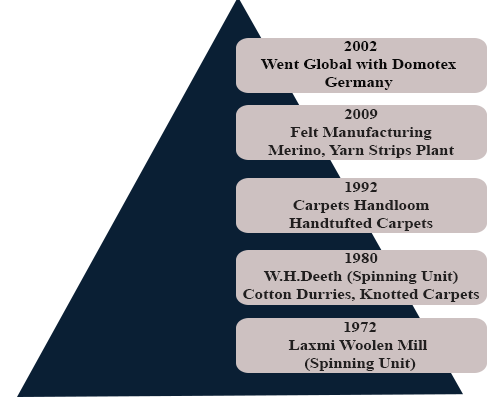 MM Group came into business 7 decades ago, that is when they started trading in raw wool. 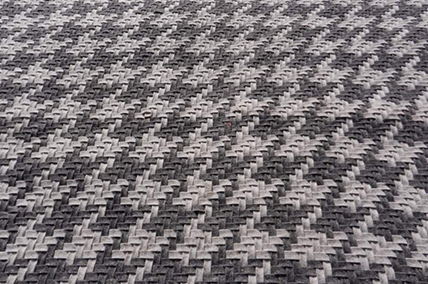 The first spinning plantwas set up in 1972 defining the path for carpet production, which was officially launched in 1992. If you look at the management hierarchy, you will notice that it is the third generation, under the guidance and experience of the second generation of both the families which is currently at helm and working passionately towards the democratization of carpet industry. 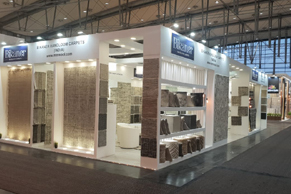 We are constantly working on touching the utmost variety, from mid to high quality, superbly rich in texture, area rugs and wall to wall broadloom carpeting. 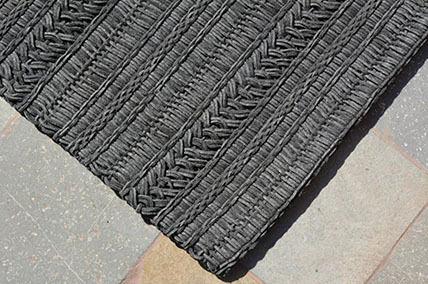 We are especially regarded highly for our unusual, innovative textures that have even the most experienced trade figures. 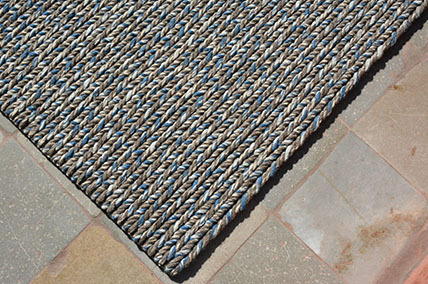 Bikaner Handloom Carpets is essentially the premium brand vertical of M.M.Wool group. 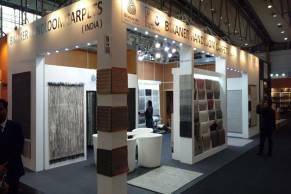 We are the responsible international vertical, manufacturer and supplier of aesthetically supreme, culturally rich and the most comfortable handmade rugs and broadloom nicely chosen and handpicked for international markets.